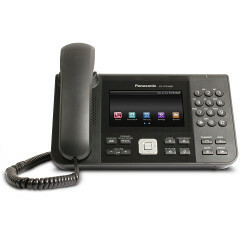 The Panasonic KX-UTG200 is a 4 line Gigabit VoIP phone with a large 3.5 Color Graphical display. 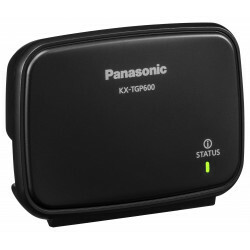 The KX-UTG200 includes many features that make installing and using it quicker and easier including Zero Touch Provisioning, dual Gigabit PoE Ethernet ports and a RJ9 headset port with support for EHS. 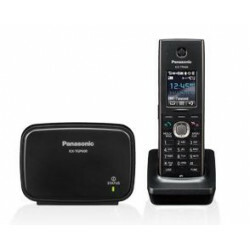 The Panasonic KX-UTG300 is an enterprise grade 6 line VoIP phone that features many advanced telephony features including a 5-inch color touchscreen display. 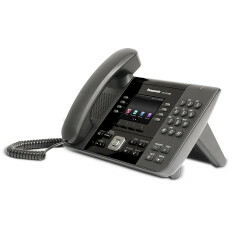 For increased ease of use and efficiency, the KX-UTG300 includes built in Bluetooth, dual Gigabit RJ45 Ethernet ports and an RJ9 headset port with support for EHS. 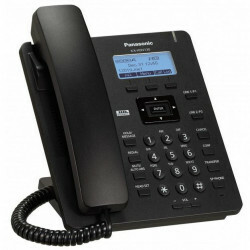 The Panasonic KX-HDV130 is a 2-line SIP Phone that is designed to meet the need of any business who requires a reliable, dependable, IP phone. 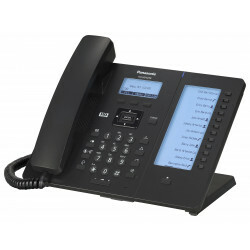 Panasonic's KX-HDV230B IP Phone features high definition voice quality with 12 flexible function keys with self labeling that can be constantly displayed. Moreover, the KX-HDV230B supports up to 6 lines and is also PoE capable eliminating the need for an AC adaptor.